In our continuing series on Thinking Machines, we discuss the role of the Demand Planner as an essential protagonist within the corporation. The Demand Planner is a star in the supply chain, interacting with all levels within the enterprise. But now, could the Demand Planner be replaced by AI? We know from ancient times that forecasting is important. 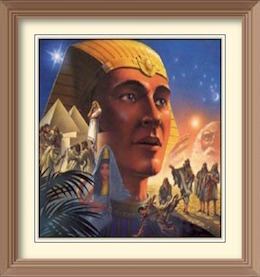 Joseph helped forecast supply and demand challenges in ancient Egypt and, thus, helped them avoid disasters. This led to significant career advancement for him, as he became the Vizier of Egypt. We also know that demand forecasting is an imperative—but elusive. After WWII, developed, industrialized, capitalist nations began their long romance with consumerism. Initially, as economies converted from war-time industry to peaceful production, consumers were just happy to get whatever was produced. The excitement of available, affordable goods drove the biggest economic growth period in the U.S., with other economies soon to follow. The focus at that time was on utilizing methods to grow production to gain market share. Demand Planning certainly existed, but push manufacturing ruled. As competition grew, so did the need for marketing. Various methods and studies existed to understand the consumer mindset, with its growing power. With the backdrop of increased competition, marketing helped to develop a strategic view towards the concept of demand planning as an art. Here, often, advertisers led with their research, focus groups, promotions, and so on, and informed the product companies about what approaches, ideas, and products would meet consumer needs. Of course, marketing was more limited to what we, today, call brand management, which in supply chain parlance is demand shaping. You built it. You gotta sell it. For many product sectors, pushing product and leveraging advertising and promotions to move product ruled well into the late 80s, with the development of expertise in statistics and the use of price elasticity models and so on. But that approach also proved elusive as a forecasting tool. Model as you will, the model will never really give a genuine forecast. So we were still stuck with push. In fact, the early MRP certifications were absent of emphasis on that thing called Demand Planning. Yes, you took that class as one of the APICS modules to get certified, but the real interest was in production. Enter the rise of a new class of consumers. Advertising and better production methods brought with them a personal identity with the material self and brand identity. Keeping up with the Joneses was replaced by “I’ve got something the Jones don’t.” Something unique. Something custom. Something built to order. The 90s brought Lean/JIT/pull, another approach which encapsulated the notion that the supply chain could be a pull phenomenon. I was told then that warehouses and demand plans would be done away with by the magic of JIT. Of course, today, we know that supply chains are usually a hybrid of a variety of production, inventory, and demand methods based on industry, products, markets, and policies of the players in the chain. And then we saw change. 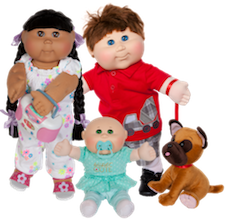 The famous Cabbage Patch craze and other expensive market misses showed companies that smarter production methods alone were not a path to profit, and huge gains could be made by anticipating. The gains made by anticipating could mean the rise of a company and/or the avoidance of a devastating loss of market share. So a good forecast and a good demand planner were surely something to be coveted. Planning was a growing field. Professionals need tools, and in parallel, the world of spreadsheets like VisiCalc and Lotus 1-2-3, plus some simple forecasting software were emerging in the market. Learning—and need—evolved quickly as most companies said that demand planning was their biggest supply chain challenge. Demand Planning took the number one place in the supply chain tech sector with rapid development of smarter and smarter math, methods, and easier-to-use software. Today, software, college level degrees in supply chain, and job openings abound. So why do we see demand planners leaving the field? Various reasons are offered. “Challenging but not satisfying as a job.” “Not rewarded.” “Not recognized.” Or as one told me— “underutilized.” There are huge economic and market shifts in the future that we can see, but our companies are just caught up in the day to day, to paraphrase one planner. “That kind of insight and expertise should offer a career path into more strategic leadership or consultative roles,” said another. Yet they move on and, often, out of the field. What a loss! Especially when we need them. I checked the internet today and by rough estimate, there were 8,900 job openings. And the data has gotten more interesting than ever with access to mobile, social, and geospatial and other forms of data which should make the job—with the right job description—a lot more interesting. Today we hear much about autonomous supply chain and that AI will replace people. Yet even the scientists, researchers, and developers are not so sure. A robot will not design the next killer product. A robot cannot sense an emotional response and translate that into a forecast. Yes, jobs will be different in the future. And professions will change. But the need for an accurate forecast—and forecaster—Joseph would tell us, is quintessential. In our next installment, Part Three, we will discuss the new organization and roles for planners. Will AI Bring Another Gilded Age?